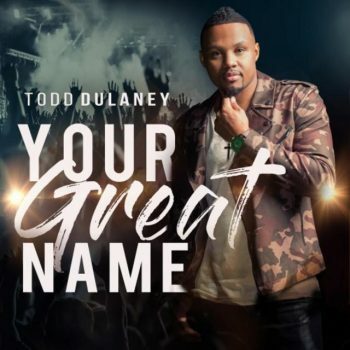 A relative newcomer, it’s taken just a few released projects and only a few short years for Todd Dulaney to quickly become a favorite worship leader and performer—marking the young artist already scrapping together GRAMMY, Stellar, and Dove Award nominations. Make no mistake, however, Dulaney is all about ministry stating, “My hope is that I will be successful at pointing people to Jesus, no matter what—that is what I want my legacy to be.” With his second live LP in as many years, the Spirit is more-than apparent on Your Great Name (buy), proving Dulaney’s heart behind the music. Encapsulating a true worship experience, Your Great Name also accomplishes a variety of musical approaches, offering an inclusive space for all to freely worship—an intrinsic quality to note. If you like Tye Tribbett or Ricardo Sanchez, expect same high-energy, super-tight live band arrangements, while Dulaney can hold his own vocally in the same arenas as Travis Greene and Jonathan McReynolds.